Vinegar is good for you, good for the planet, and good for your bank balance. 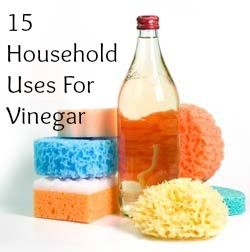 Vinegar is one of the household staples that we all have in our cabinets. The culinary and medicinal uses of vinegar have been documented throughout history. Before the development of chemically laden cleaning products, people used to turn to vinegar. It seems to have fallen out of touch as a cleaning agent in the last generation or two, although many of us have vague memories of our grandmothers using it around the home, if only for cleaning windows. Lately, I have noticed that interest has been re-awakened, as a greater awareness of the harm we might be doing to our planet leads us to seek more natural products. Vinegar also appeals to the thrifty among us. Why pay all of that money when we can do so many of the same jobs far less expensively? I am a product junkie. That is the truth! I buy into every single bit of that crap. Lately though I have found myself drawn to finding ways to make my own household cleaning products. So far, I have been very happy with everything I have tried. I have made my own carpet powder, my own shower and bathtub cleaner, and my own dishwasher detergent. I have not shared about the dishwasher detergent yet, but I will. I recently bought a book called 501 Hints and Tips With Vinegar by Igloo books. I have been reading the heck out of that thing! Last night my dog had an accident on the carpet. It was bad people. Real bad. Like, my son threw up while trying to clean it bad. I was out of carpet cleaner, so I got out my trusty old book, and I made my own. and it worked like a charm. I am going to share some things from the book. And I will probably be back some other time to share more too. I mean, 501 tips is a lot. 1. Furniture Polish- Mix 3 parts olive oil with 1 part white vinegar and apply with a soft cloth. This does not keep, so make it as you need it to use it. YOu can adda few drops of essential oil to add scent to the room if you want to. 2. For tougher surfaces, make a paste out of white vinegar and course grained salt to scrub with. 3. Kitchen Spray- Mix a 50/50 solution of wite distilled vinegar and water. You can use undiluted vinegar for tougher jobs. 4. Scouring Cleanser- Combine 2 parts of baking soda to 1 part liquid detergent and add a teaspoon of white distilled vinegar and mix to form a creamy texture. 5. To clean wood or other floors- Add 1 cup of white distilled vinegar to very hot water. Make sure you wring out the mop really well because too much water can damage the wood. 6. For nicotine stained walls- Use a solution of half vinegar and half warm water. You can also use this solution to spray on walls to remove smoke stains fomr candles or wood fireplaces. 7. To disinfect work surfaces- Wipe them down with neat white distilled vinegar. 8. For windows- 3 parts water (as hot as you can stand) to 1 part white vinegar with just a small squirt of dishwashing liquid. 9. In the dishwasher- Pour 1-2 cups in the bottom of your dishwasher with the usual detergent. 10. For cloudy glasses- Submerge in warmed vinegar for 1 hour then rinse and clean thoroughly. 11. Mobile Phone Screen- Mix 1 Tbs of white distilled vinegar and 1 cup water, dip a cloth in it and wipe clean. 12. Smelly Foods?- Boil a pan of water with a cup of vinegar will get rid of food smells. 13. Natural Air Freshener- Place a saucer of neat vinegar in unobtrusive places. 14. Sinks and Garbage Disposer- Pour a glug of vinegar down the hole to emit unwelcome smells. 14. Stinky Washing Machines- Pour 2-3 cups of white distilled vinegar into the base of the machine and then run the machine empty on the hottest setting. Repeat every 4-6 weeks. 15. Laundry Brightener- Add 1 cup of vinegar to the wash to brighten colors and whiten whites. I hope you find these tips to be useful for you. If you are trying to save money or be more green around your home, I am sure at least one of these will work for you! Happy Cleaning! Happy Monday! Awesome tips! Had no idea vinegar could do all this! Thanks for sharing! You would n't believe how much vinegar can do! I have been buying it in bulk, and so far all of my home made cleaning products I have tried are working fantastic! And I am saving money and the environment. Love! Thanks for the comment. I am pinning this! I love using natural products for cleaning and misc. things. Thanks for all these tips! 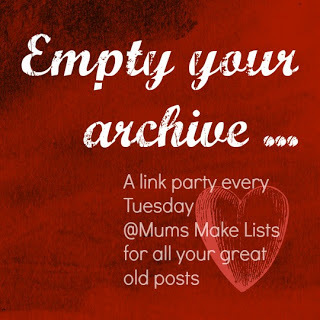 Thanks for coming by my Thursday Link up Party to share this! Hope to see you again this week! Any way to make an oven cleaning solution with it? I'm trying to clean mine without chemical solutions. Tried leaving a bowl of ammonia in it overnight and wiping it down last week as recommended on another site. Article said fumes would basically "melt" off the burned on grease and it would wipe right out. NOT EVEN CLOSE! Would greatly appreciate any other ideas. Thanks. Ahhh you left out my favorite! A hair rinse to get rid of built up product! 50/50…pour on your hair, let set, rinse well. Your hair will be soft, shiny and product free. Awesome tip! I will be sharing more tips in the future. Maybe that will be one of them! We have been using it a lot more lately. I particularly like it for my laundry. It really refreshes our bath towels and makes them soft and fluffy.